According to polling data, most Americans doubt that evolution is a real phenomenon. And it’s no wonder that so many are skeptical: many of today’s biology courses and textbooks dwell on the mechanisms of evolution—natural selection, genetic drift, and gene flow—but say little about the evidence that evolution happens at all. How do we know that species change? Has there really been enough time for evolution to operate? 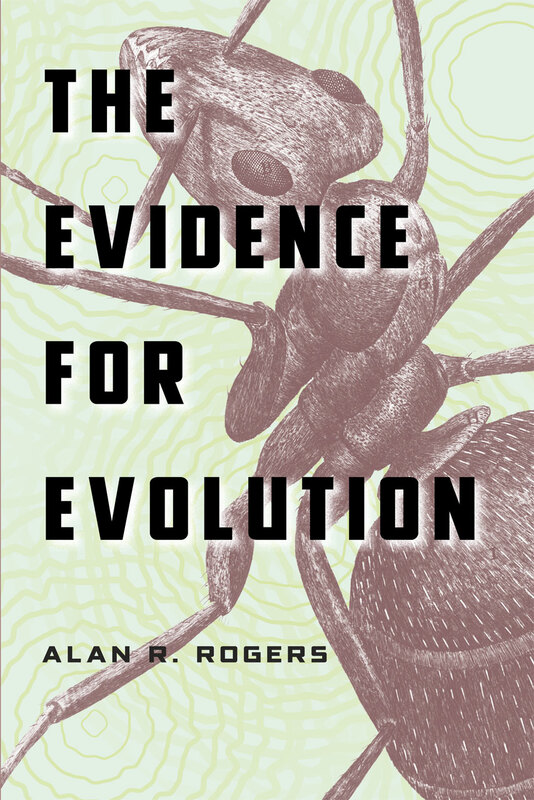 With The Evidence for Evolution, Alan R. Rogers provides an elegant, straightforward text that details the evidence for evolution. Rogers covers different levels of evolution, from within-species changes, which are much less challenging to see and believe, to much larger ones, say, from fish to amphibian, or from land mammal to whale. For each case, he supplies numerous lines of evidence to illustrate the changes, including fossils, DNA, and radioactive isotopes. His comprehensive treatment stresses recent advances in knowledge but also recounts the give and take between skeptical scientists who first asked “how can we be sure” and then marshaled scientific evidence to attain certainty. The Evidence for Evolution is a valuable addition to the literature on evolution and will be essential to introductory courses in the life sciences. 3. Does evolution make big changes? 4. Can evolution explain design? 7. Has there been enough time? 9. Are we still evolving?